Cast: Royalty Hightower (Toni), Alexis Neblett (Beezy), Antonio A.B. Grant, Jr. (Donté), Inayah Rodgers (Karisma), Lauren Gibson (Maia), Makyla Burnam (Legs), Da’Sean Minor (Jermaine). 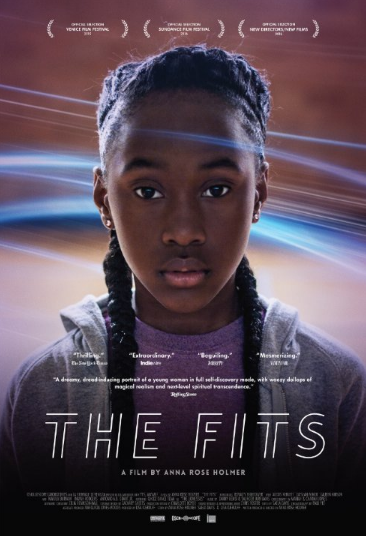 Story: The Fits is a psychological portrait of 11-year-old Toni, a tomboy assimilating to a tight-knit dance team in Cincinnati’s West End. Enamored by the power and confidence of this strong community of girls, Toni eagerly absorbs routines, masters’ drills, and even pierces her own ears to fit in. When a mysterious outbreak of fainting spells plagues the team, Toni’s desire for acceptance is twisted. Source: IMDB. This entry was posted in Upcoming Films and tagged Drama, Roylaty Hightower by blackcinemaconnection. Bookmark the permalink.